I'm a born and raised Charlestonian. Over the last three decades, I've seen the best and worst that this city can offer. I've explored its tiny alleyways and watched national brands make their home here. 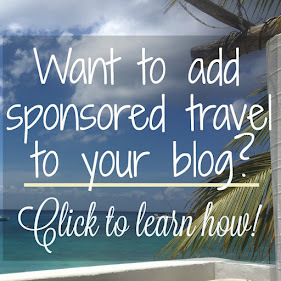 I am a part of the Holiday Inn Influencer program and was provided a two-night stay to help me write this post. As always, all opinions are my own. I don't know about you, but I am the world's worst about exploring my hometown. In my case, I live in one of the most visited cities in the South--Charleston, South Carolina--yet, I rarely make it out to see all of the historic homes in the area or take one of the many tours offered. I have all of these big ideas on adventuring in my hometown, but I find myself scooting off to other places when I have a free moment. I've consciously worked to change this over the past year, and it's been lots of fun re-discovering the places in my own backyard. 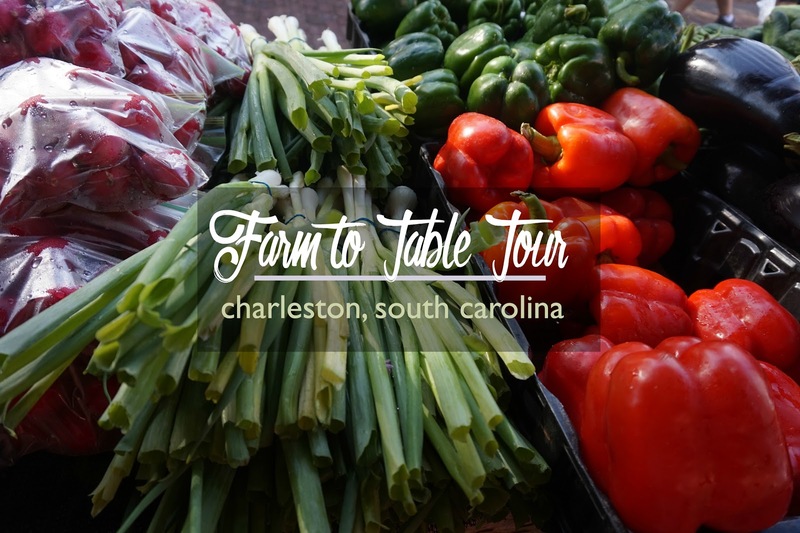 When you're making a Charleston itinerary, you probably put food and historic tours at the top of your list. 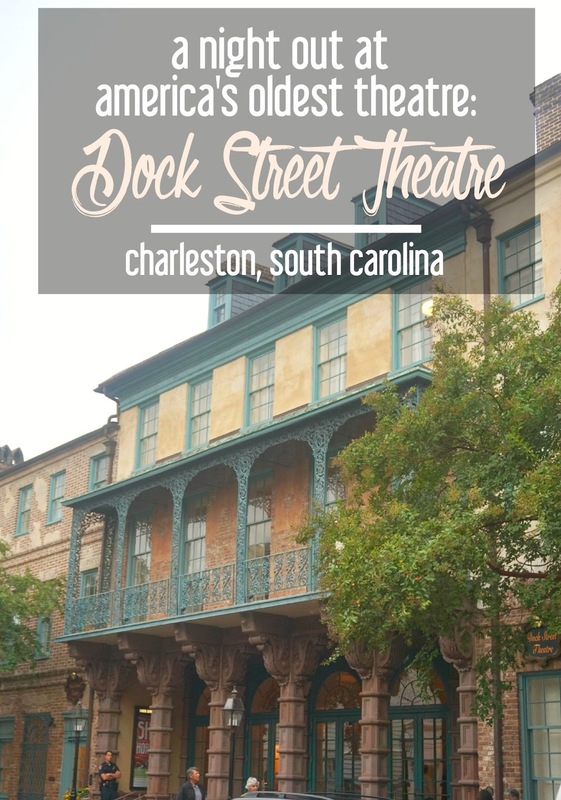 But did you consider adding the Dock Street Theatre, Charleston, South Carolina's oldest theatre (and possibly the oldest theatre in America) to that list? 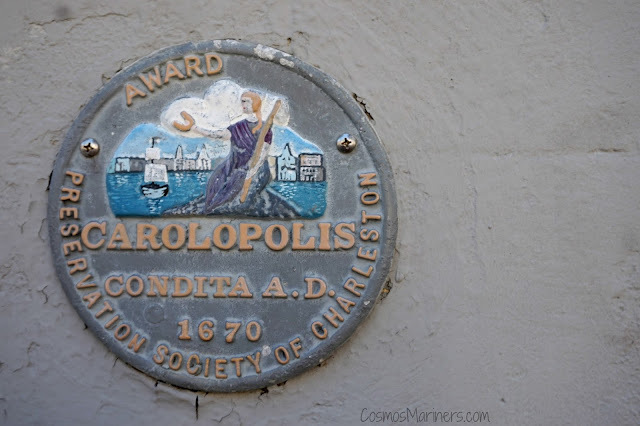 It's hidden in plain sight just off of two of the busiest thoroughfares in downtown Charleston and is one of the prettiest buildings in the French Quarter (which is saying something, as this is one of my favorite spots in Charleston!). Do yourself a favor and pop inside to see what's playing during your visit. While it's community theatre, the standard of acting is exceptional compared to what you typically expect out of local theatre groups. There are even a few professional actors serving as the cornerstone of the group! I've been fascinated with the art of movie making since I was a little kid. 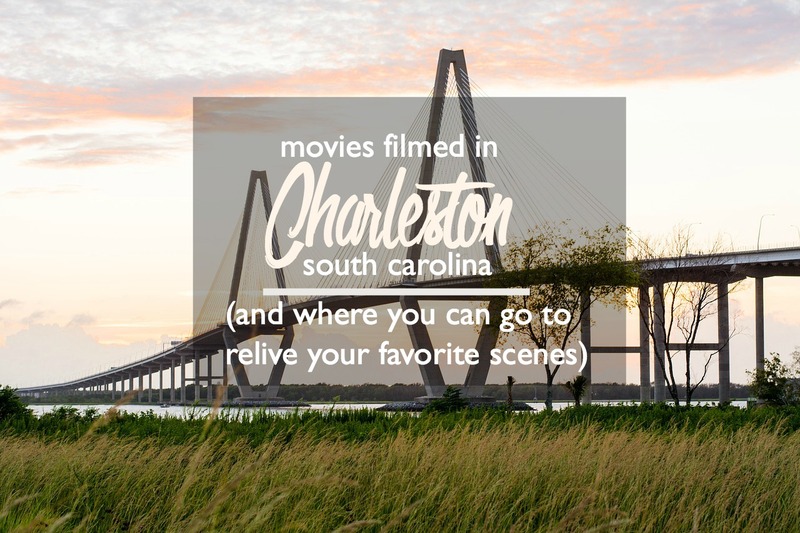 So, it's no wonder that I get a little thrill whenever I hear that another movie is being made in my hometown of Charleston, South Carolina. While most people come to Charleston for the history and Southern charm that the city offers, you might also want to spend some time exploring the more recent history of the city. Here's where you can find the settings of some of your favorite movies that were filmed right here in the Holy City. Just outside of Charleston, South Carolina, is a long, winding two lane road flanked by centuries-old live oaks. While the drive down State Road S-10-20 (Bohicket Road and then Betsy Kerrison Parkway) is destination enough, the golf and resort community at the end of it will make the trip even sweeter. The road ends in a roundabout. Take the first road to your right, and you'll go to Seabrook Island. The second road leads to Freshfields Village, a shopping and dining area that services the area. 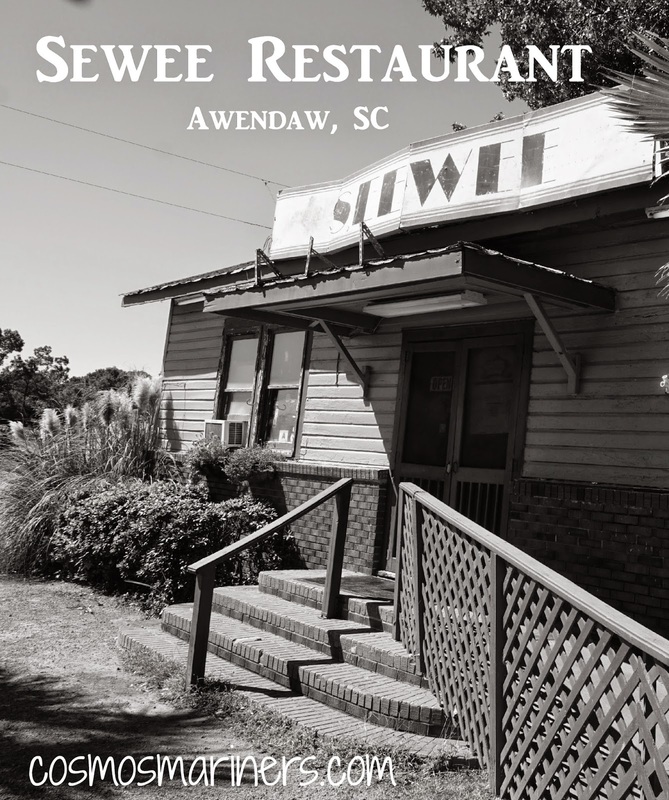 We're headed to Kiawah, so we're going to take the last exit off of the roundabout, skirting Freshfields Village, and continuing on Kiawah Island Parkway further into the marsh. If you're headed to Kiawah Island as a part of your visit to Charleston, you won't be disappointed. 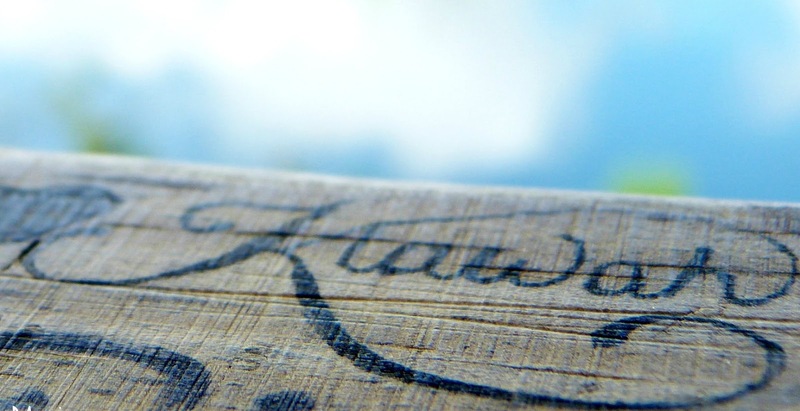 Here's everything you need to know about vacationing on Kiawah! Head out of Charleston south on Highway 17, and then hang a left onto 21. 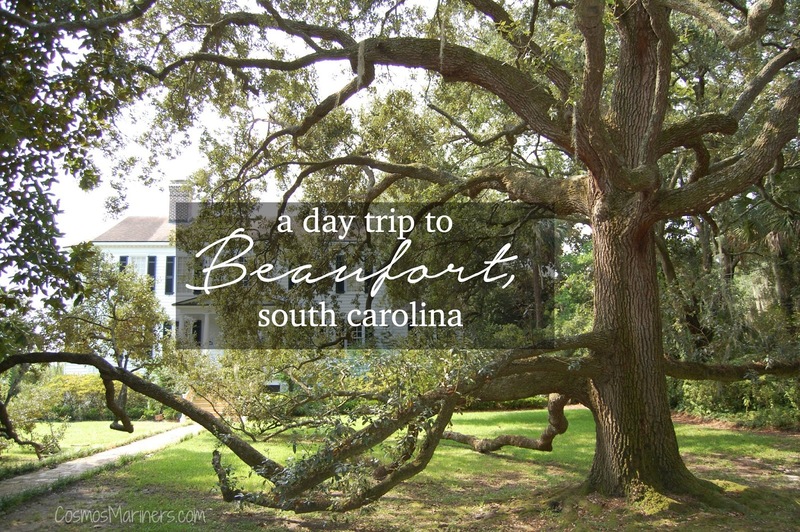 You'll think you're headed into a swamp never to be found again--but you're actually on the way to one of coastal South Carolina's cutest towns: Beaufort. 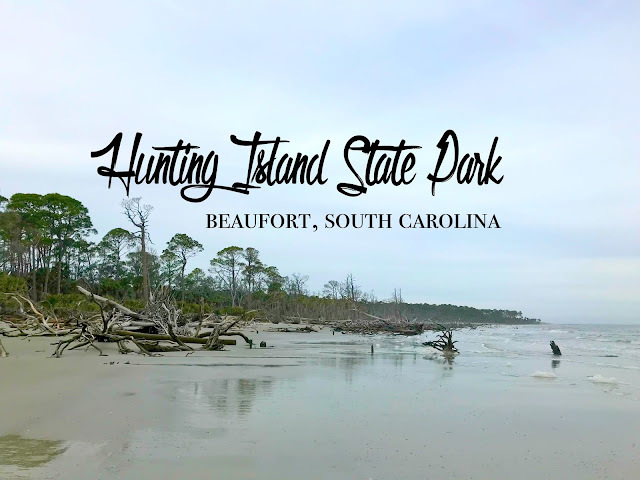 It's proximity to Charleston makes it an excellent day trip from the Holy City, and Beaufort's small town charm is the perfect antidote to Charleston's high-falutin' ways (and, as a native, I mean that in the best way possible!). In complete and utter opposition to my high brow love of literature, ballet, modern art, and artsy-fartsy independent movies is my devotion to creepy ghost stories--the weirder the better. I love them so much that I wrote my graduate thesis on the modern Gothic novel, which is basically the closest I could get to actually spending a year of my life reading spooky stories. So, it's no wonder that ghost tours are always on the agenda whenever I go to a new place. And if I can find a good ruin, I'm pretty much set for life. 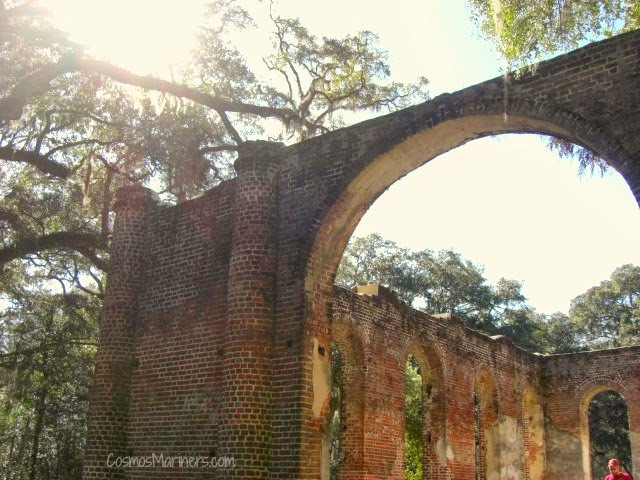 Since Charleston has gone through a revitalization over the last few years, there are fewer and fewer awesome ruins to ramble around as they're all restored now. 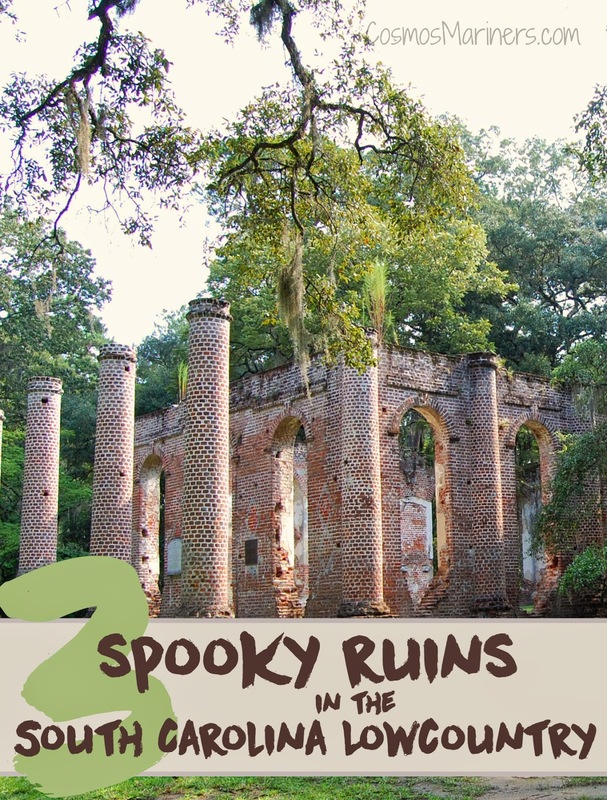 But, fear not, visitors to the South Carolina Lowcountry--there are still three amazing places where you can see some bonafide ruins. And they're all open to the public, so you don't have to worry about getting arrested for trespassing. Plus, they're also free, which makes them even better. I can't promise that these sights will include the fog and creepy characters from the best scary movies, but you might get lucky! 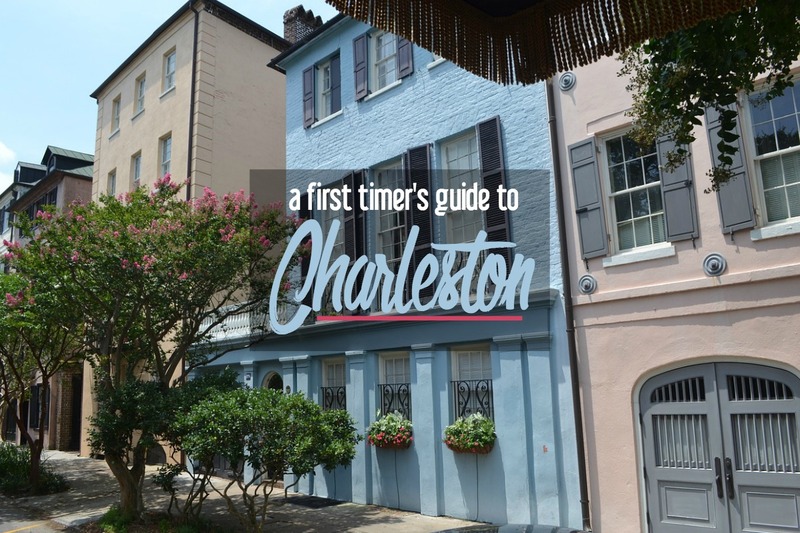 While the loop isn't too far from Charleston, you'll definitely want to allot an entire day to do this road trip. There are plenty of roadside eateries along the way so support local businesses and grab something along the way. We start our road trip by going way off the beaten path. Head out of Charleston going south on Highway 17, then hang a right onto Highway 64. You'll blast through the metropolis of Round-O, South Carolina (population: 1 animal feed store). Turn right onto Jacksonboro Road, and just as you're thinking that I've lured you down here to murder you like in a bad horror movie, you'll see Parkers Ferry Road--turn right on it (it's a dirt road), and the chapel is down on your left. Poor Pon Pon (also written as Pon-Pon). A wooden church was built here in the early 1700s, and was replaced by a brick version seventy years later. 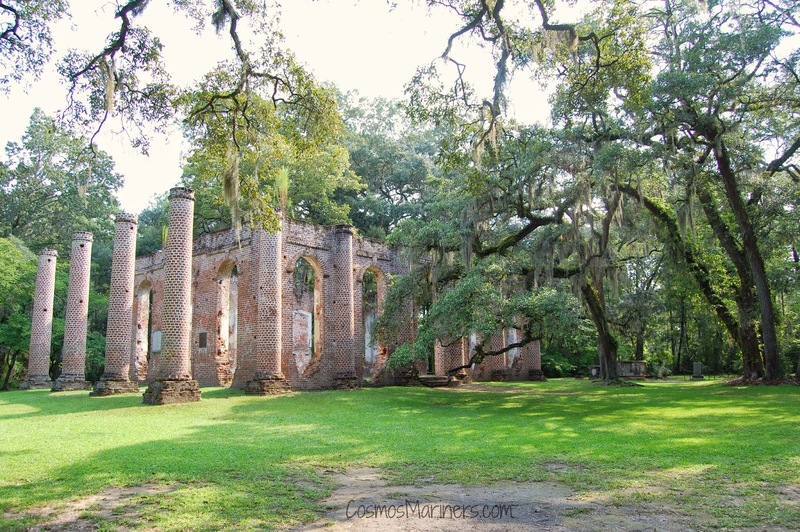 When the brick church burnt down in 1801, the congregation built another brick church in its place--only to have that second brick structure burn down again in 1832. (Blame all of those drafty rooms and uncovered candles.) As you can imagine, the congregation admitted defeat and left the ruins as they were, though they did continue to use the graveyard for new burials, which is kind of strange. The straw that broke the back of Pon Pon wasn't a straw at all, but rather something much more powerful--a hurricane took down all but one and a half of the remaining walls in the 1950s. There aren't any ghost stories associated with this place (at least that I know of), but the solitude of the chapel and the stunning brick ruins create the perfect atmosphere for an overactive imagination to hear things. Of the three places on this road trip, Old Sheldon Church is probably the best recognized due to its proximity to Highway 17. 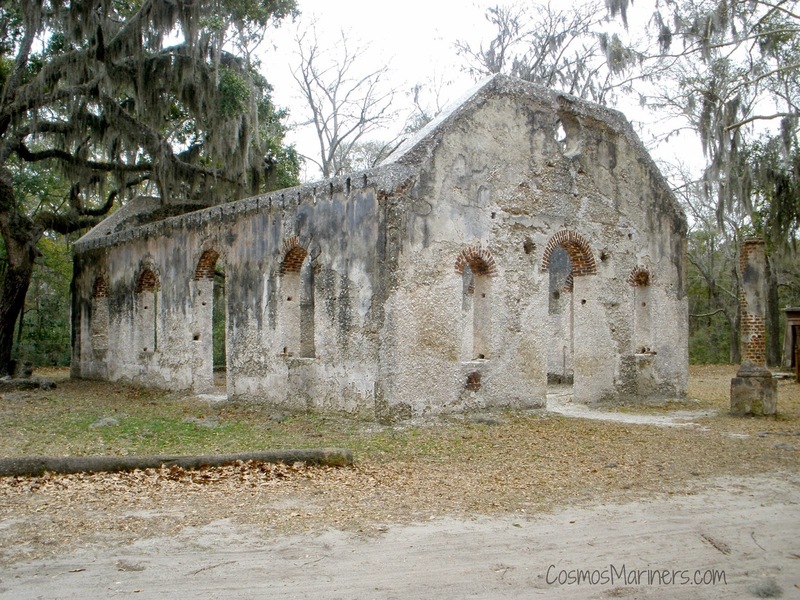 To get to Old Sheldon Church once you leave Pon Pon, you'll want to retrace your steps until you get back on Highway 17. Head south again--when you see the turnoff to Beaufort, you know you're getting very close. Stay on 17 until you see Old Sheldon Church Road on your right (it will be the next road after the 21/17 interchange). Turn there and head down the road just a mile or so. The ruins will be on your right, and a parking area is across the road on your left. Thanks to my sister, who let me use this picture of Old Sheldon Church! As soon as you get out of your car, you'll feel the stillness of this place. 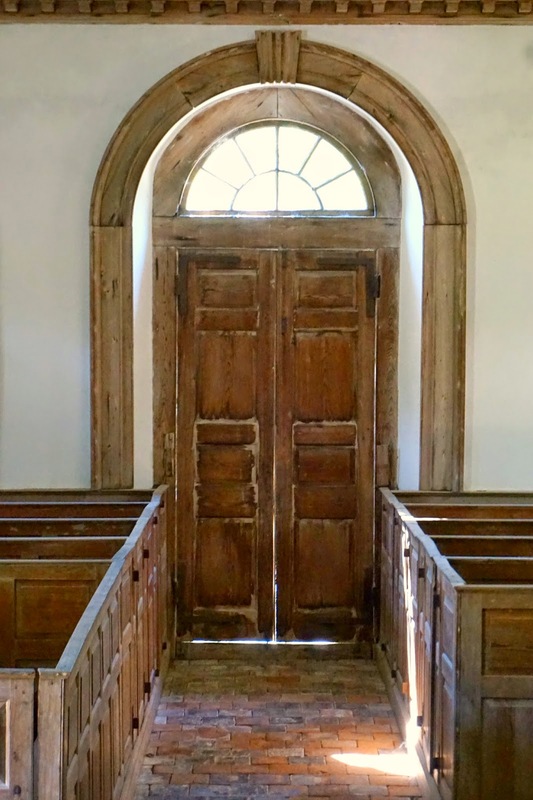 Even when there are other people around (and there often are--this will be the busiest of the three stops), people talk in hushed voices as they walk around the church's ruins. Some say that you can hear a woman crying at night for her infant child. Whether you believe in ghosts or not, just being out here in the middle of the forest by yourself at night would be enough to scare the pants off of you. Tucked away on a lonely stretch of land past Beaufort, St. Helena's Island really can feel like the end of the world on a cold, quiet day. From Old Sheldon Church, head back towards Highway 17, and then head north on 17 until you reach the intersection of 17 and 21. Take 21 all the way through Beaufort. After you pass Beaufort, turn right onto State Road S-7-45 (also known as Martin Luther King, Jr. Boulevard). The road will fork; bear to the right onto Land's End Road. The chapel ruins will be on your left almost immediately past the fork in the road. Wander the ruins, which are interesting unto themselves since they're made of coquina (an oyster mortar) and see the shattered mausoleum door in the graveyard. I was pretty sure that something was going to crawl out of the mausoleum and grab me with its nasty hand. While the ruins themselves aren't haunted, the road is. The Land's End light shows up down Land's End road, and most people think its an oncoming car until they realize that there's only one light. As it gets closer, the light grows in size and will actually pass by any cars waiting on the side of the road. Unlike the other two spots on this road trip, the Land's End light is consistent--no one knows if it shows up every night, but rumor has it that, if you wait long enough, you'll see it. But what is it--ghost or some sort of lightning ball? 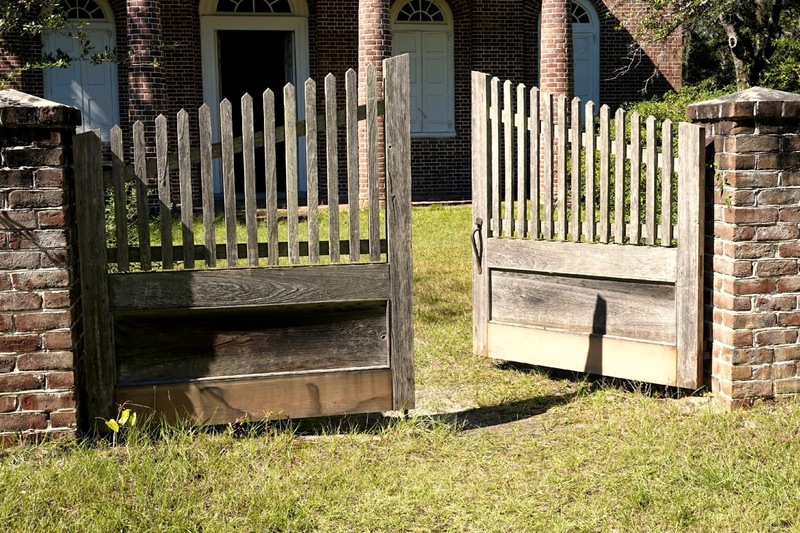 Legend has it that it's the spirt of a runaway slave or a Private stationed at a nearby fort who died after a scuffle. Some people have reported an electric shock when the light passes near them, which has led some to believe the light is actually St. Elmo's fire or another natural phenomenon. A word of warning: if you go out to see the light, don't attempt to drive through it or chase after it. Land's End road is a tight two lane road through a residential area. Do you like going to ruins? Do you love or hate ghost stories? 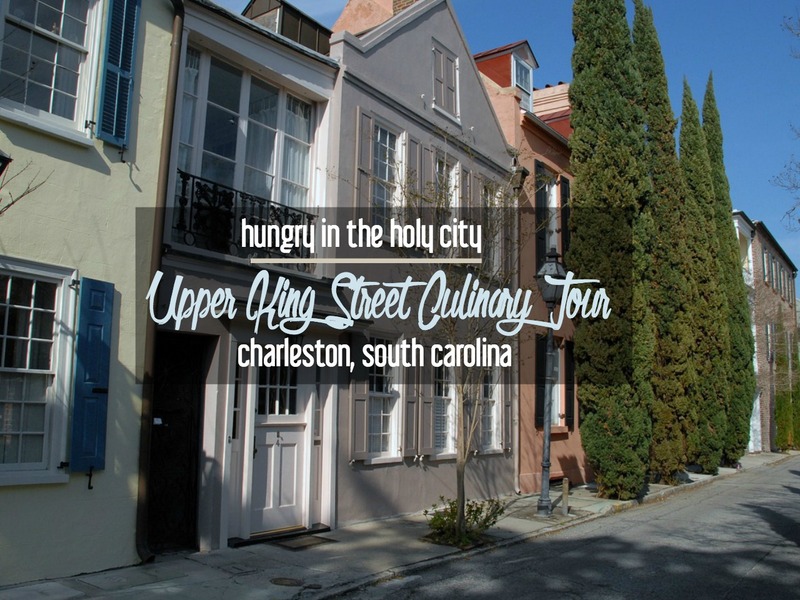 With a nickname like the Holy City, it's no wonder that Charleston is a great place to spend Christmas. 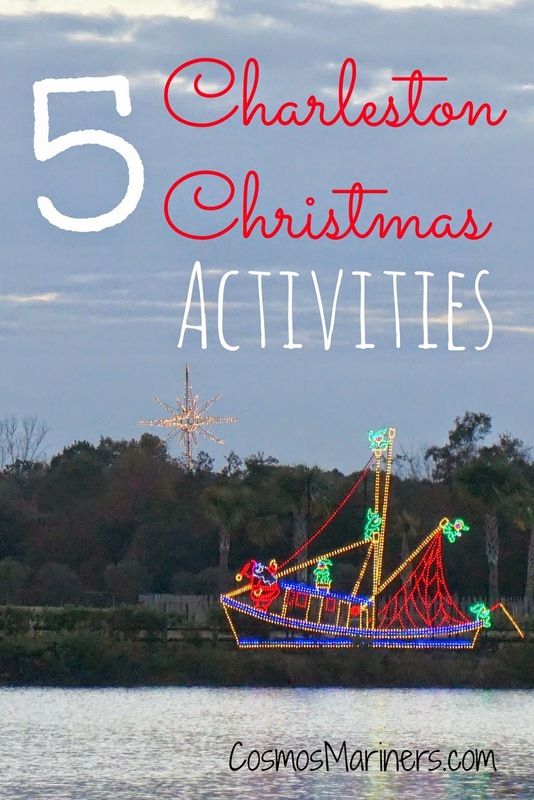 We might not get snow or ice, but we make up for the lack of traditional holiday weather with an array of fun activities. If you're lucky, you might visit while the temperatures are in the 70s, and you can break out your favorite Christmas shorts! Eating and talking about travel: I really can't think of many better ways to spend a few hours! 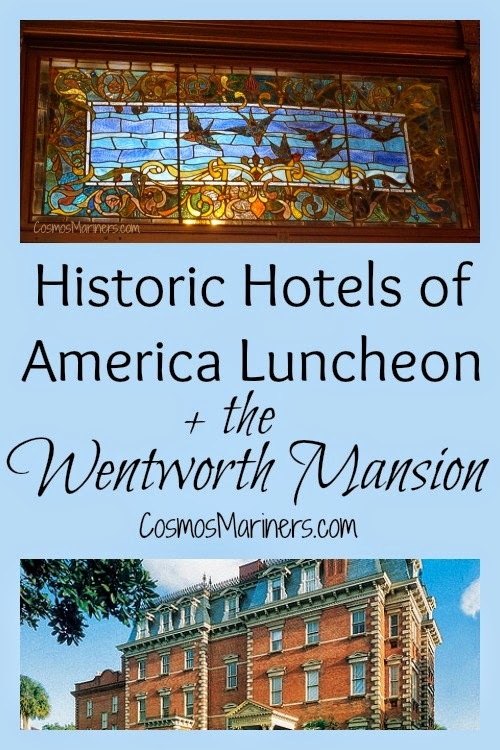 Last week, I had the chance to sit down with about two dozen travel writers, bloggers, and hoteliers at the Historic Hotels of America regional luncheon. Not only did I get to pick the brains of several seasoned writers, I had the chance to network with some of the Historic Hotels in and around Charleston. And yes, I'm one of those crazies who actually enjoys public speaking and cocktail parties. What can I say? I guess I like to hear myself talk. All of the attendees had the chance to mingle at the informal reception at the bar before heading into the main dining room to eat (more on that below. Spoiler: it was delicious!). The media people stayed seated while the hoteliers rotated through with each course. It was a great way to get to know all of the people there. During the luncheon, I had the chance to talk with representatives from the King and Prince (St. Simons Island, GA), the Fulton Lane Inn (Charleston, SC), the Francis Marion (Charleston, SC) and the Dunhill Hotel (Charlotte, NC). I even got to see my contact at the Jekyll Island Club Hotel (Jekyll Island, GA) who helped me arrange my history-packed, amazing trip back in September. Each property is unique, and each has a ton of history. (Duh, Natalie.) 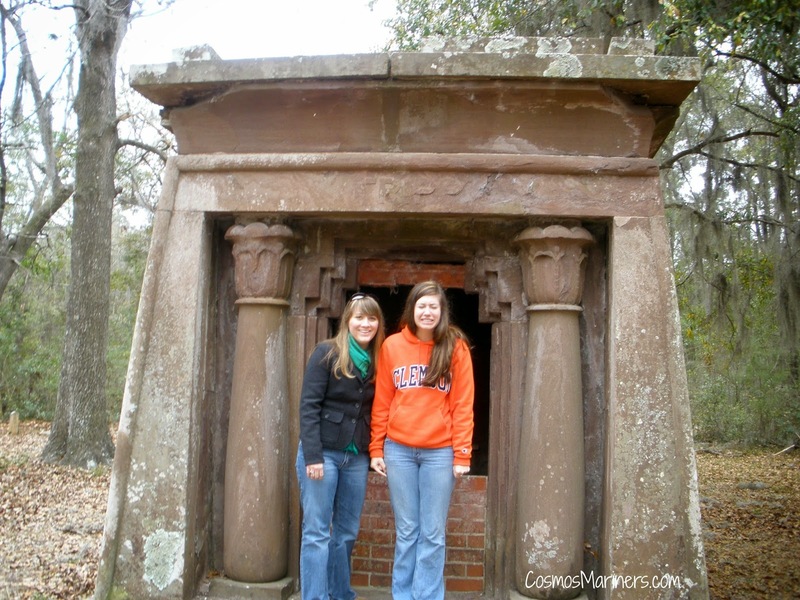 If you've been reading this blog even for just a post or two, you know that I'm obsessed with all things historical. 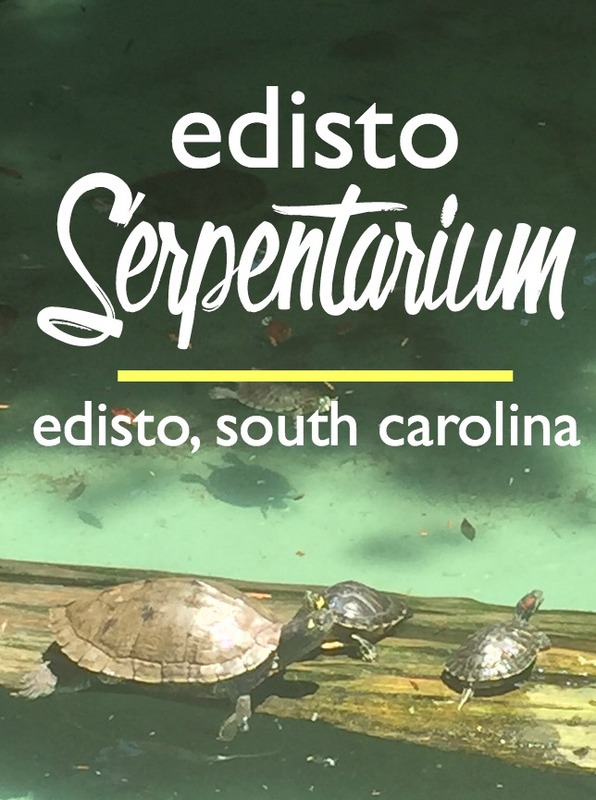 To know that there's so much to explore right here in the Southeast makes me so excited for my 2015 travels! I certainly hope I'll be able to visit several of these properties in the coming year. 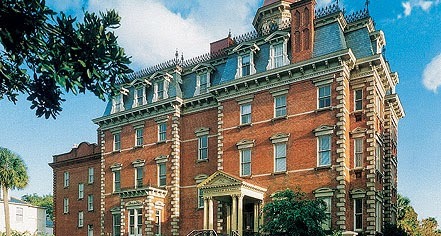 So, the gorgeous Wentworth Mansion (one of the Historic Hotels!) 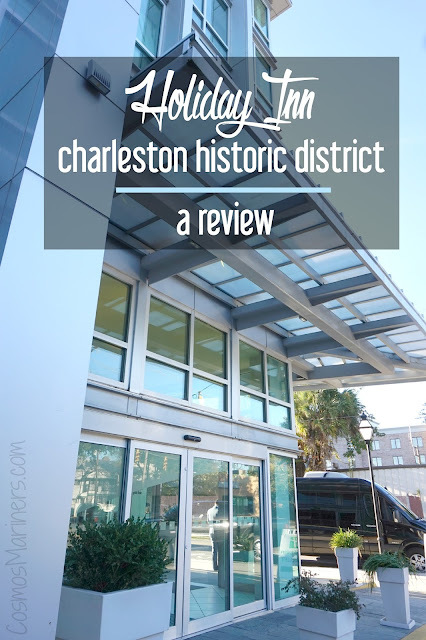 hosted the event--and I got to fulfill something on my Charleston bucket list: eating at Circa 1886, the onsite restaurant. I'd heard it was great, but just saying it was "great" is the understatement of the century. We started off with shrimp and grits soup--minus the shrimp for shellfish-intolerant me. Yum, yum, yum. It was basically like the creamiest grits I'd ever had: combine grits and a cream-based soup, and that's what you'd get in this dish. It was hands-down my favorite part of the meal. The second course was a choice of salmon or chicken, and I went with the chicken. It had this delicious balsamic reduction on the top, and was so tender, I didn't really even need my knife. The third course was a key lime tart. 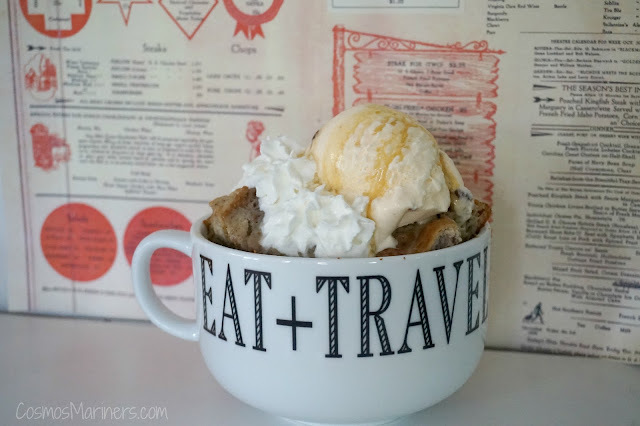 I have a weakness for all things key lime, and this dessert didn't disappoint. I think I could make myself sick off of key lime pie! After the meal was finished, Chef Marc Collins came out to talk with us about his inspiration behind the food. He said that he likes reinventing traditional Southern foods without turning people away from the basics that made them love the foods to begin with. After we'd all eaten to our absolute max, we were invited on a tour of the Wentworth Mansion, which is just across the parking lot from Circa 1886. About six of us were led around the stunning hotel, and we were shown one of the small rooms. Yes, this is one of the "small" rooms! There are 21 rooms in the hotel in all--and rumor has it, even a few (friendly) ghosts! The stained glass over the front entryway. It's original to the house, and each of the sparrows represents one of the owner's children (he ultimately had 13!). Staying here (and at pretty much all of the other Historic Hotels of America) is high on the bucket list, so maybe my husband will get the hint and plan a fun weekend for us at some point. 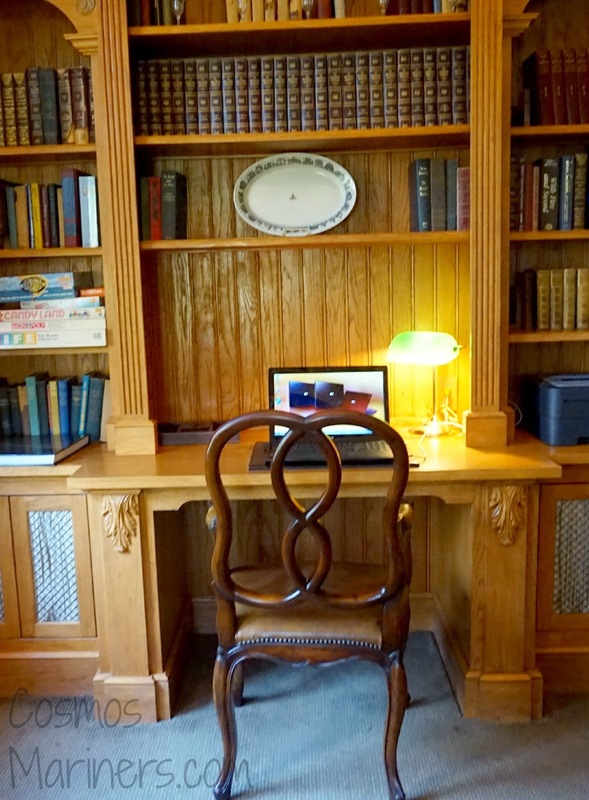 The business center: I could get some work done in this quiet, cozy room. All in all, the luncheon was a wild success in my book. I got out of the house for a few hours (even sans toddler, who was with my mom! ), and I was inspired by the other writers in attendance. Some of them have been in the travel industry longer than I've been alive, which reminds me how much I still have left to learn and explore. 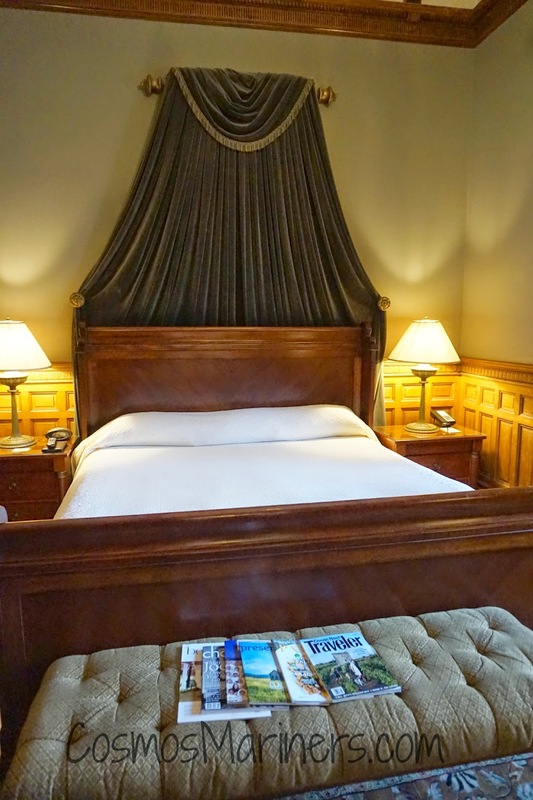 Have you ever stayed in one of the Historic Hotels of America? 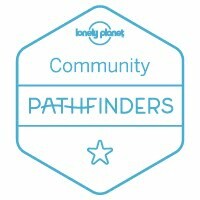 Do you enjoy networking events? Charleston, being right on the Atlantic and in the South, doesn't have a lot in the way of seasons. We get about six months of summer (March-September), three months of ice and blustery winds (January-March), and about three months of what could be called post-summer. It's not really summer since the temperatures are still in the 80s, but it's not what most people would consider fall since we don't have any orchards to pick apples, or changing leaves to ooh and ahh over. Still, post-summer is about as close to fall as Charleston gets, and you'd better believe that I'm wearing my boots and planning Britton's Halloween costume with the best of them. Since Charleston doesn't have the climate to grow pumpkins and apples and such, we go "pick" them out of a field where they mysteriously appeared overnight around the first of October. This was Britton's first year to get into picking out a pumpkin, so I wanted to go take some pictures of her selecting her own pumpkin. My mom, grandma, and I took Britton out to Boone Hall Plantation--one of the area's only working plantations/farms--to get some pictures. My ten minute photo shoot turned into a three hour fun festival when I realized that Boone Hall had an entire fall festival planned. Not only were there pumpkins to pick, there was a hay ride, corn maze, jumping castle, fair food, and petting zoo. With all of that fun ahead of us, where did we go first? To get a fun face-in-a-cardboard-hole picture, of course! Next, Britton was off to check out the tractors on display. She didn't like the turning radius of this one, so we headed deeper into the festival for something else to amuse her. There was a huge slide there for the little kids, but Britton was too small to go on it by herself. I gladly volunteered to slide with her. This volunteering had nothing to do with the fact that I'm basically a five year old at heart. Absolutely nothing. Neither did the three more times we went down the slide! Also note the fact that we're all in short sleeves and/or shorts. Nothing says fall like an 85-degree day! There was a cute ropes area in the shape of a spider web. Britton didn't know what to make of it. She finally cracked a smile, and then immediately tried to launch herself off the side. No worries--there were plenty of other fun things to do instead of being a fly caught in a web. We skipped the corn maze since we were with my grandma (who gets tired out after walking too much) and Britton (who tends to run away) and headed for the hay ride. There's just nothing like live oaks, Spanish moss, and a haunted hay ride. Luckily, it wasn't too haunted, so the kids and scaredy-cat grown-ups like myself were able to enjoy the ride without cowering under our seats. After the hayride came some more adventuring. The pumpkin patch was sponsored by Chick-fil-A, so the cow had to make an appearance. No one was eating any hamburgers, so the cow was pretty low key. The petting zoo portion was pretty neat. There were miniature pigs, a tiny little pony, a donkey, and this stellar llama. This one had an atrocious underbite and flounced around it it owned the places. Llamas--the drama queens of the petting zoo. But then she cooperated and I got a few pictures worthy of her baby book. She even got rewarded with a lemonade for her troubles. And so that concludes our Fall-ish venture this season. I'd wanted to do more since it's Britton's first interactive Halloween (I totally don't include last year when she was only 5 months old since the most exciting thing she did was barf all over her ladybug costume), but, as fate would have it, we're in the middle of moving into a new house this week. Eek! Wish us luck with the move! Happy Halloween, y'all! What fun fall or Halloween-themed things did you do this season? It's no secret that I love traipsing around old cemeteries and churches. My blog is named after a tombstone inscription, after all. To me, it has less to do with the religious significance of these places and more to do with the history that surrounds them. You can learn so much about burial customs and people's lives just by looking at tombstones, and you can get a feel for a community's hierarchy and interests by checking out their places of worship. I was an adventuring mood, so I packed up the car with my daughter, my husband, and my sister and headed down a little dirt road off of Highway 17. The way to St. James Wambaw Church is pretty bumpy and narrow, but I think the (small) discomforts are worth it. 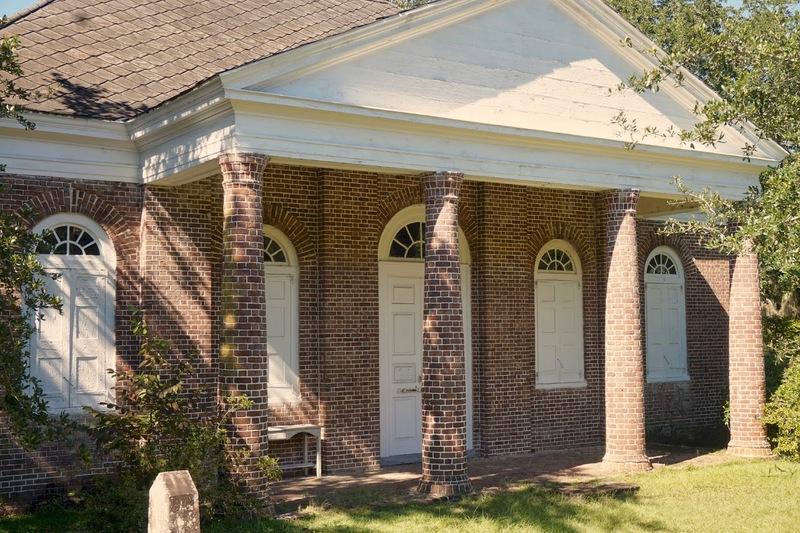 About a mile from Hampton Plantation (and not too far from the SeeWee Restaurant) is this small brick chapel which dates back to the mid-1700s. It's looking great for its age, isn't it?! There are these little chapels of ease scattered all over South Carolina, and I love exploring them (the Pon Pon Chapel of Ease near Round-O and the Lady Chapel near Frogmore are two others). 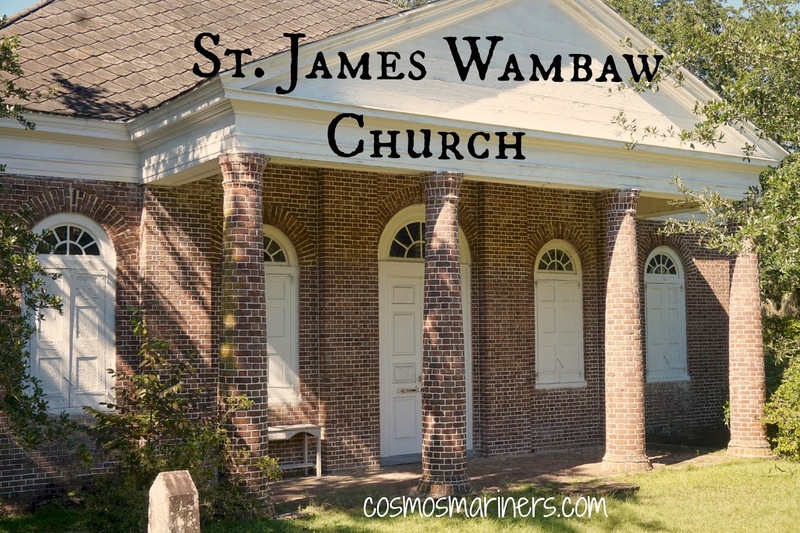 The St. James Wambaw Church only had a little more than a dozen families attend it at the height of its popularity, but it served as a place where travelers on the King's Highway (now called Old Georgetown Road) could worship on their journeys. Can you imagine going to church with the same 15 or 16 families? Not that I'd do anything bad anyway, but you couldn't get away with anything with such a small group of people keeping track of you! My sister decided to climb up into the (gigantic) pulpit, but her spirit was not stirred to tell us anything other than "You'd better be good. I can see everything from up here." Seriously, that pulpit was not for the faint of heart or those affected by vertigo. I love old brick to a weird degree. Please tell me I'm not the only one. To get to the church, turn onto Rutledge Road about five miles north of McClellanville. Once on Rutledge Road, find the first dirt road to your left; this will be Old Georgetown Road. Go down Old Georgetown for a mile or so. The chapel will be on your right. 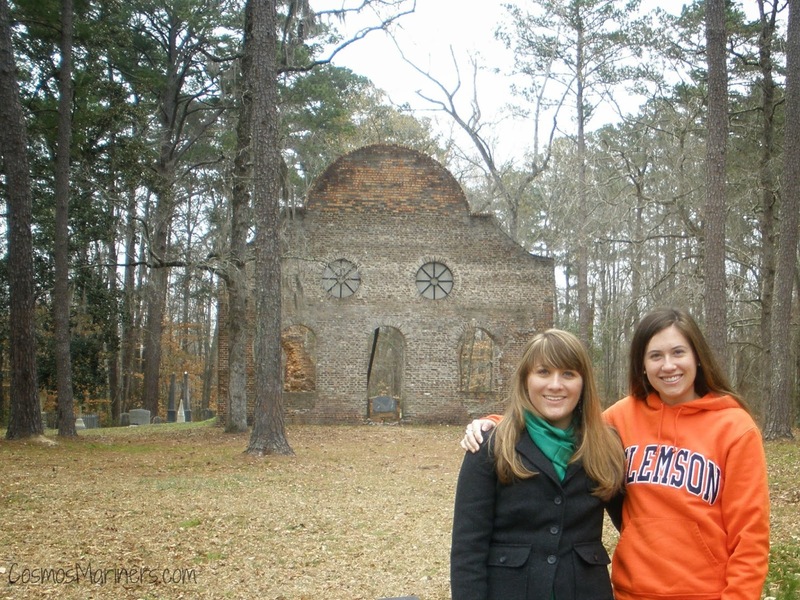 Do you like visiting old churches and graveyards? Or do they creep you out? Who doesn't love a little roadside diner? To me, traveling means trying to understand the region, the people, the culture of wherever you're visiting. And that means bypassing the chains and sampling some of the area's restaurants. If the locals are eating somewhere, that's where I want to be as well. 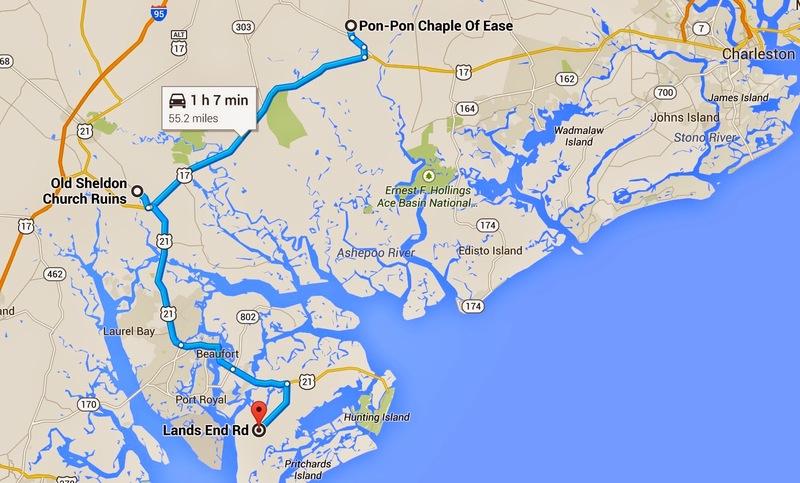 When people come to Charleston, most of them stick to the downtown/ beaches/ Ashley River plantation circuit. There's absolutely nothing wrong with that--in fact, I'd highly recommend doing just that if it's your first trip here. 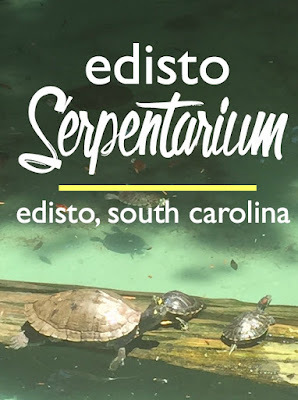 But if you've got a little extra time or you feel like exploring a little further afield than most, there are plenty of amazing things to do in the Charleston area that are a bit off the beaten track. 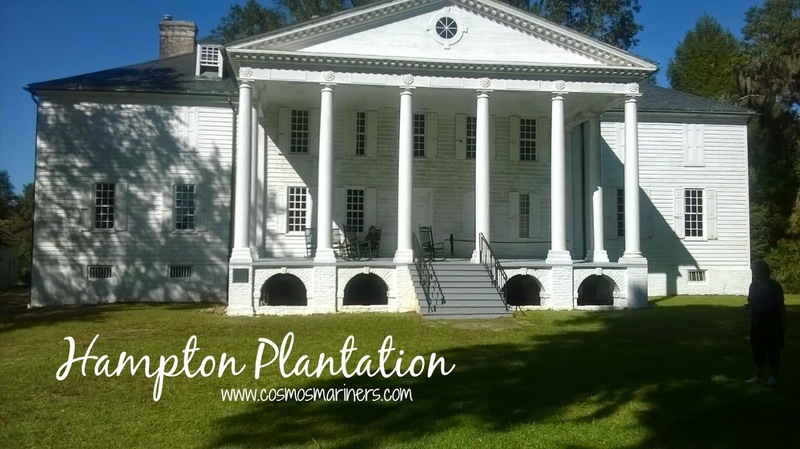 Hampton Plantation in McClellanville, South Carolina, is one of them. This weekend, I didn't go to Scotland, but I got as close as I could without getting on a plane. 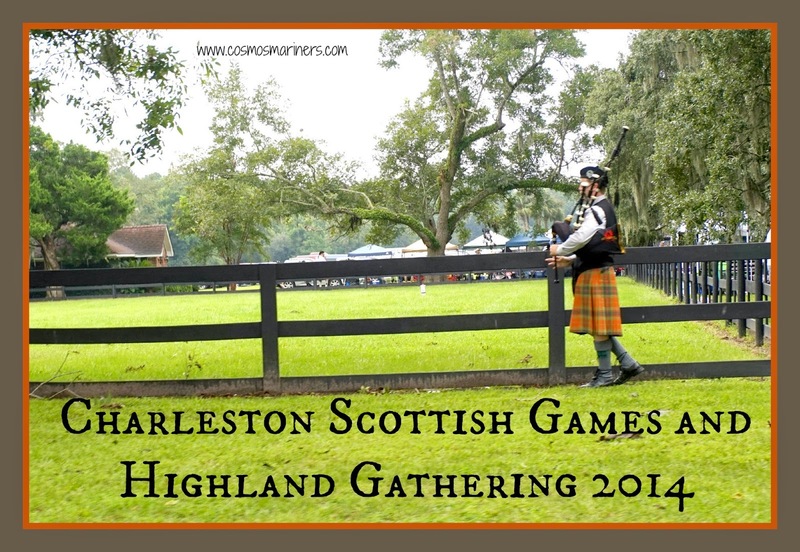 After two long years of waiting, I made it back to the Charleston Scottish Games! Landon and I went for the first time back in 2010 and had a blast. We skipped 2011 since we were saving up for a trip to Scotland that November. When we went in 2012, I was very early in my pregnancy with Britton, but still had a good time. We didn't make it last year since Britton was only a few months old, Landon had to be out of town for work, and everyone else was busy. 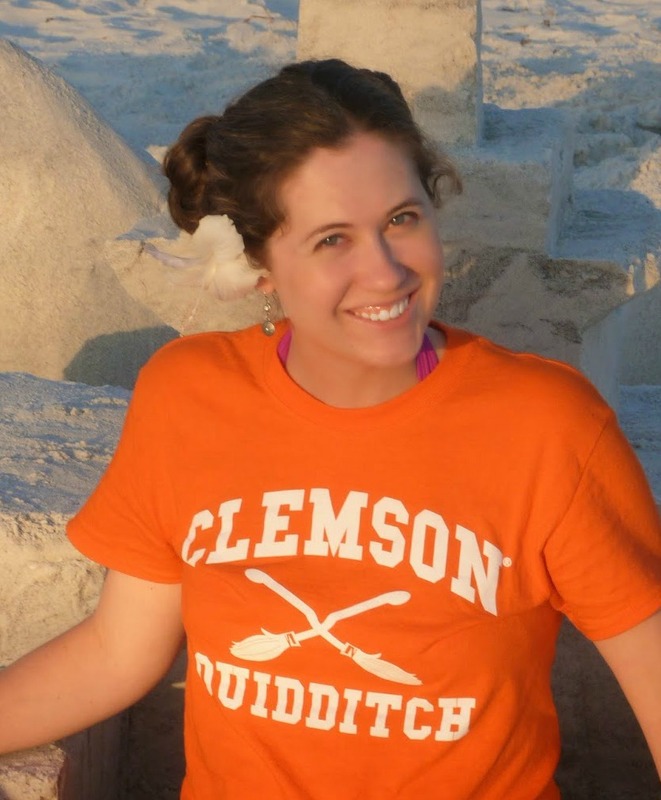 This year, we made sure to pencil a trip to Boone Hall for the 41st Scottish Games and Highland Gathering.